Planted in 1972 on classic Hunter Valley Terra Rossa type soil, Woodward’s Valley View Vineyard is set on a 53 acre parcel of land nestled in the heart of Pokolbin in the Hunter Valley. Valley View is surrounded by founding wineries such as Drayton’s and McWilliam’s. 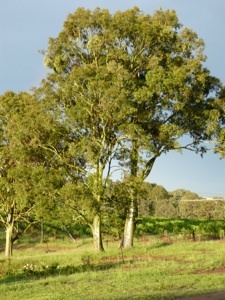 Planted in 1972, the Shiraz vines are the most prominent vines at Woodward’s Valley View Vineyard. Yielding approximately 1 tonne / acre of premium Shiraz fruit. Our Shiraz have been used to produce some of the Hunter’s most prized wines, such as McWilliam’s Mount Pleasant “Philip” Shiraz, and Capercaille’s flagship “Ghille” Shiraz. 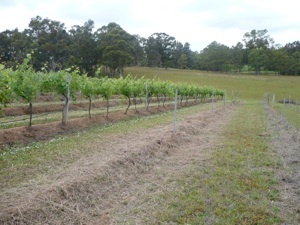 Planted in 1972, our Cabernet Sauvignon vines are among only a small collection planted in the Hunter Valley. Production of the first vintage of Woodward’s Valley View Vineyard Cabernet Sauvignon in 2007 saw the arrival of our first bottled wine and our first trophy at the 2008 Hunter Valley Boutique Wine Makers Show. In addition, a bronze medal was awarded in the 2009 Hunter Valley Wine Show. Planted in 1983, the Muscat was originally planted for table grape sales; however its future is in fortified wines and other exciting wine styles.